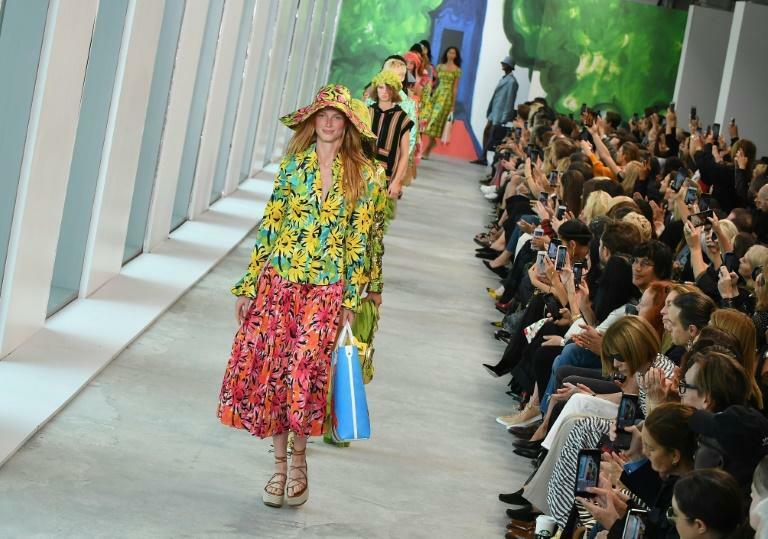 Michael Kors kicked off the final day of New York Fashion Week "Sunny Side Up" on Wednesday with A-listers Nicole Kidman and Catherine Zeta-Jones front row for a happy collection inspired by the beach. Still to come Wednesday is Marc Jacobs, the darling of American high fashion, before Barbadian superstar Rihanna closes out the week with a Savage x Fenty bash to baptize her brand-new lingerie line. The spring 2019 season will then shift to Europe, with fashion weeks to follow in London, Milan and Paris.